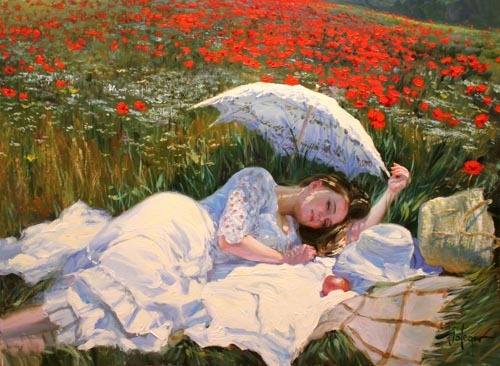 Vladimir Volegov is one among the best Russian artists of all the times. He was born in Russia and he started to paint at the age of three. It is interesting that most of the popular artists showed interest in art at the early stages of their life. Vladimir’s biography also shows the same. He was born as a talented artist and portrayed amazing abilities from childhood. After completing art studies, he started to serve the Russian army. He conducted several exhibitions and won several international awards. He had a notable career in the field of commercial art. 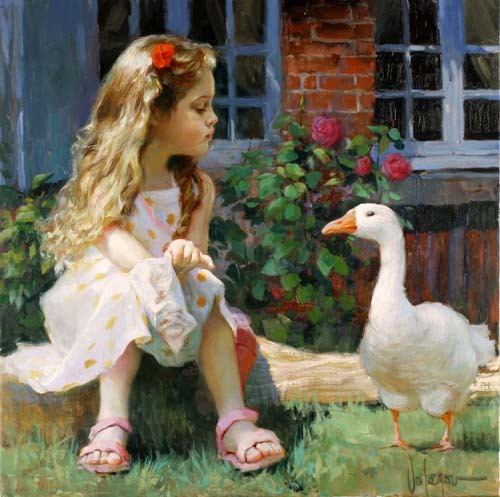 Vladimir Volegov children paintings are often characterized with beautiful backgrounds and other supporting subjects like flowers or cats. His paintings of children playing near beaches are a treat to eyes. It often sprinkles a nostalgic mood in our minds. His painting process is fast and the technique is achieved through years of art life. Here I have selected only few of his works for inspiration to my readers. speech less no word love you. 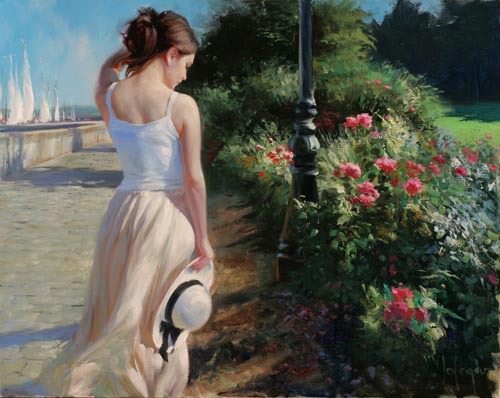 Vladimir Volegov is fantastic! His portraits are so real that it looks like a photo. Is there any dvd that I can buy of him showing how to paint a portrait? Such amazing talent! And Vladimir began painting at the age of three?! What an incredible prodigy indeed!